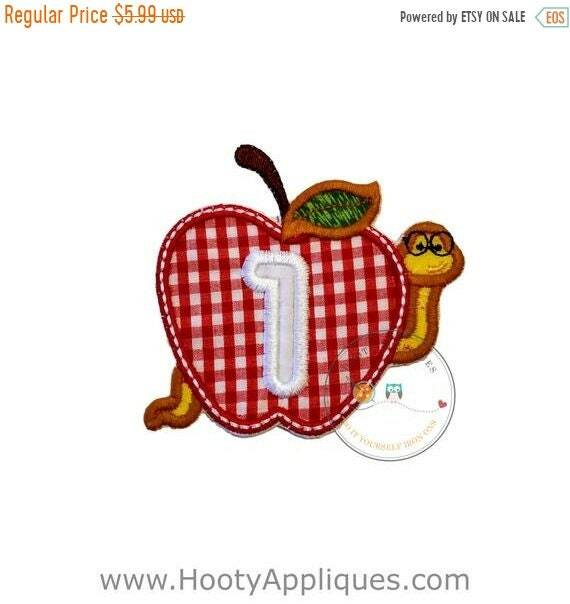 Cute red gingham number one apple with bookworm. Great back to school. 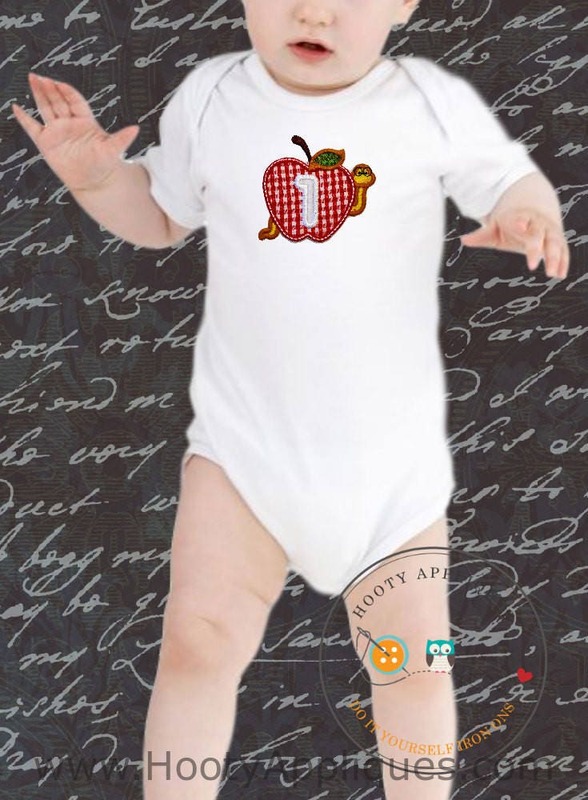 Appliqué is an iron on fabric applique with embroidered details. *Fits a 4 x 4 area.